Opening & Artist Reception Sat, Sept 8, 5–7 PM photo-eye Bookstore’s Project Space is proud to announce Atomic Playground, a two-person exhibition featuring Greg Mac Gregor’s colorized photographs from the Los Alamos National Laboratory Photographic Archives and Atomic Overlook by Clay Lipsky. 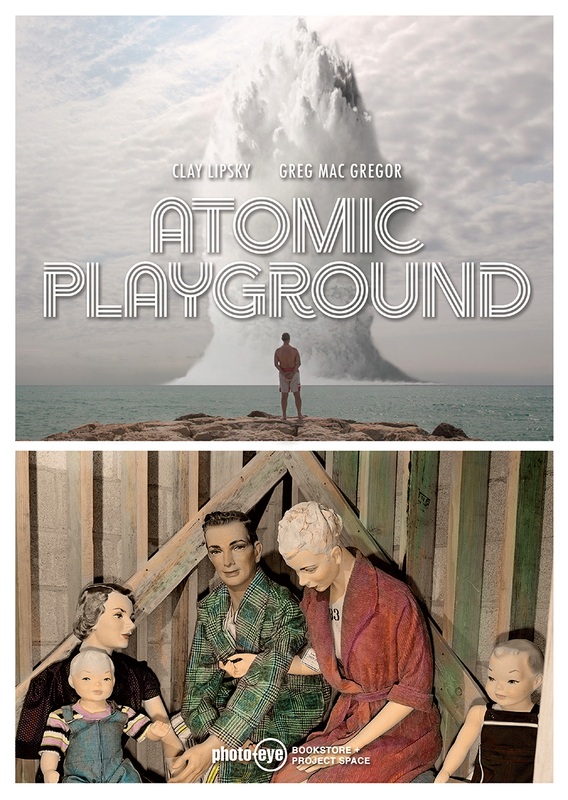 photo-eye Bookstore’s Project Space is proud to announce Atomic Playground, a two-person exhibition featuring Greg Mac Gregor’s colorized photographs from the Los Alamos National Laboratory Photographic Archives and Atomic Overlook by Clay Lipsky. Atomic Playground adds to the interest generated by the New Mexico History Museum respective exhibition Atomic Histories and the Santa Fe Opera’s production of Dr. Atomic. Atomic Playground will also be on view during the semi-annual opening of the Trinity Site (Saturday, October 6th, 2018), the area within the White Sands Missile Range where the first atomic bomb was tested – ushering in the atomic age. 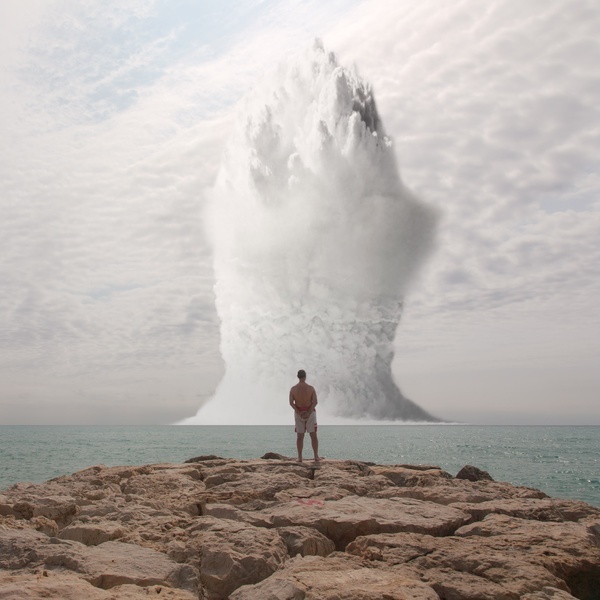 Clay Lipsky's Atomic Overlook re-contextualizes a legacy of atomic bomb tests. In an attempt to keep a nuclear threat feeling contemporary and omnipresent, Lipsky introduces archival images of atomic explosions among casual scenes of vacationers. He imagines an era where tourists gather to view bomb tests from "safe" distances. The surreal images speak to a voyeuristic culture where catastrophe is viewed as entertainment by increasingly desensitized masses. The iconic mushroom cloud represents a triumph of science, apocalyptic destruction, and even national pride. In this case, however, it also serves as a metaphor for larger societal issues such as global warming, nuclear power, industrialization, and pollution. 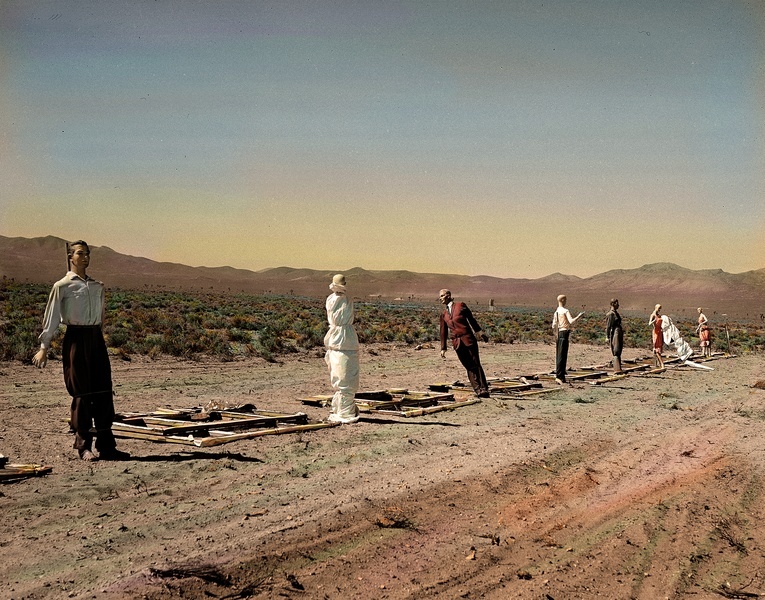 Greg Mac Gregor's artwork incorporates official, declassified photographs from the Los Alamos National Laboratory Photographic Archives produced in the early 1950s at the Nevada Test Site during the atmospheric testing era. At the time, the US Army tested various scenarios with mannequins to adjudicate and record the effect an atomic explosion may have on objects within the test site’s blast radius. Mac Gregor skillfully colorizes these scenes using a style and palette similar to hand-colored postcards popular at the time. The color is realistic but flat, yielding a reflection of the era while injecting emotional content into the image. The result is a series of haunting, nostalgic, and dystopian tableaux. Clay Lipsky is a fine art photographer and Emmy Award-winning graphic designer based in Los Angeles, CA. His art has been published and exhibited internationally, most notably with Esquire Russia and at the United Nations (NYC & Vienna), Galerie le Carré d'Art (France), MNAC Bucharest (Romania), GuatePhoto (Guatemala), Smithsonian’s National Atomic Testing Museum, Lishui Photo Festival (China), and the Annenberg Space for Photography. Greg Mac Gregor is Professor Emeritus of Photography at California State University, East Bay. His book, co-authored with the late Siegfried Halus, In Search of Dominguez & Escalante, was published by the Museum of New Mexico Press, and the project will be on display at the New Mexico History Museum in 2019. His long career has produced 80 plus solo exhibitions and the photographs from these projects reside in the collections of over thirty museums.